When it comes to Mediterranean cruising, the Balearic Islands are often top of travellers’ hit lists – and rightly so. This idyllic scattering of islands, located just off the east coast of Spain, ticks all the right boxes when it comes to exciting cruise stop-offs. Top-class beaches, numerous sightseeing opportunities and areas of outstanding natural beauty make these islands a traveller’s dream. Here’s the lowdown of what you can expect and where you might go. The pretty Balearic archipelago consists of five main islands: Ibiza, Mallorca, Menorca, Formentera and Cabrera, with a further 151 uninhabited islands. The main languages spoken are Spanish (Castilian) and Catalan, but many locals speak English, especially in the main port cities and tourist resorts. The official currency is Euros and tipping is customary in most cafes and restaurants – usually somewhere between 5%-10% is acceptable. Dining out in the Balearic Islands will offer the chance of sampling the freshest fish and seafood you’ve ever tasted. Because most ships dock in major port towns, you’ll also be able to sample the finest restaurants of that particular island. Lobster stew is Menorca’s signature dish, with similar to be found on Ibiza and Formentera. Frit Mallorqui is a delicious Majorcan speciality traditionally made from offal and vegetables. You’ll also find the usual international favourites. The Port of Palma is where any stop off to Mallorca starts with most Western Mediterranean cruises docking here. This cosmopolitan city is a delight to explore, with designer shops, small boutiques and impressive architecture just waiting to be enjoyed. The impressive Palma Cathedral (La Seu), a fine example of Gothic grandeur, is a top attraction, with the Casco Antiguo, a small area of cobbled streets just behind it, also worth exploring. 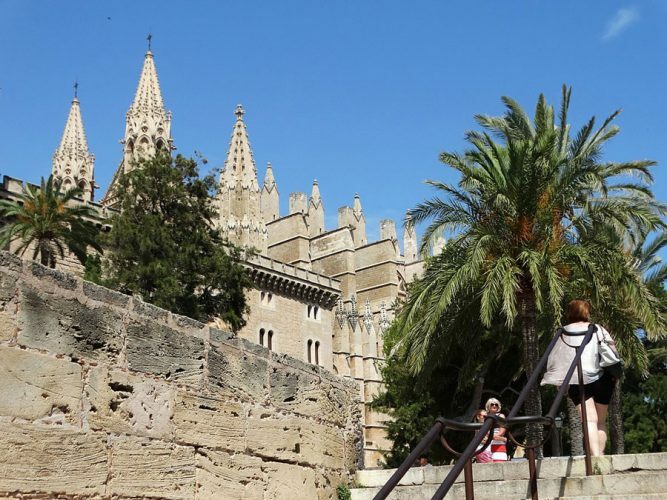 Palma old town is a maze of medieval streets with galleries, museums and restaurants. The Miro Museum, a mansion which once belonged to the Archduke of Austria, now houses an impressive collection of art works by Joan Miro. Beyond Palma is a wealth of seaside resorts, the nearest being Cala Major, just four miles west of the city. Illetas Beach, an idyllic sandy cove just six miles west of the city. The hottest months are June and September, with average temperatures reaching 20°C and above, so don’t forget to pack your shorts and sunscreen. Most cruise ships to Ibiza will dock in Ibiza Town, close to Botafoch, an upmarket marina where the rich and famous moor their yachts. The area also boasts a number of high-end restaurants and clubs such as Blue Marlin and Pacha. Beyond the port, a wealth of attractions awaits, with the old quarter well deserving of its UNESCO World Heritage status. The medieval stone walls, fortresses and waterfront rub shoulders with seafood restaurants and quirky boutiques. The cobbled slope that leads to the Ses Taules Gate into Dalt Vila, is where you’ll find the Museu d’Art Contemorani d’Eivissa, an impressive art museum housing an eclectic selection of art works, sculptures and installations. If you want to tick another island off your Balearic bucket list, hop on the ferry to neighbouring Formentera. The trip takes around an hour. If your cruise features Menorca, you’ll be treated to the delights of Mahon. With its waterfront cafes, attractive 18th-century mansions and array of tapas restaurants, it’s a beautiful place to enjoy a leisurely day. Its highest point is Monte Toro, from where you’ll be rewarded with spectacular views of the island and coastline. Most cruise lines will offer an excursion to Ciutadella, Menorca’s old capital and home to a 14th-century cathedral and numerous shady squares where you can sample the local wine and people-watch. Son Bou Beach is the nearest to Mahon. 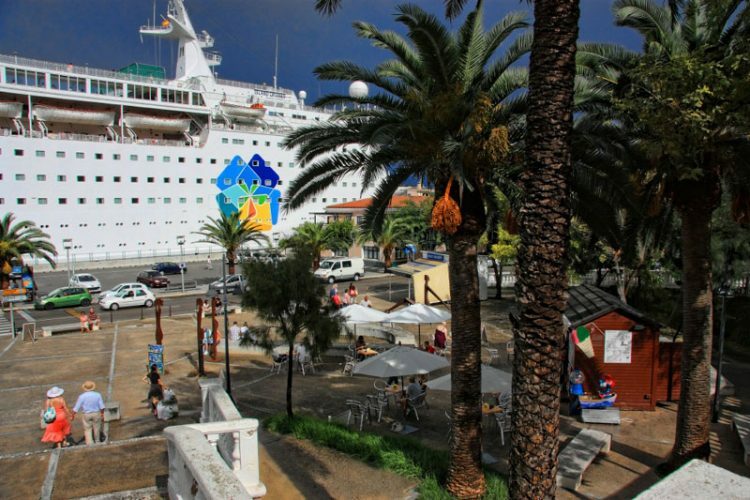 Boasting a sliver of pale golden sands, three beachside restaurants and numerous shops, it’s ideal for those after some rest and relaxation before getting back onboard. When booking your cruise, it’s worth bearing in mind that the Balearics’ peak season is from May to October – this is when temperatures are at their hottest. However, if you’re happy with pleasant days for sightseeing and sampling the local cuisine, the winter and spring months can still provide mild days, ideal for exploration. Looking for some fun onboard your cruise? These are your best entertainment options. 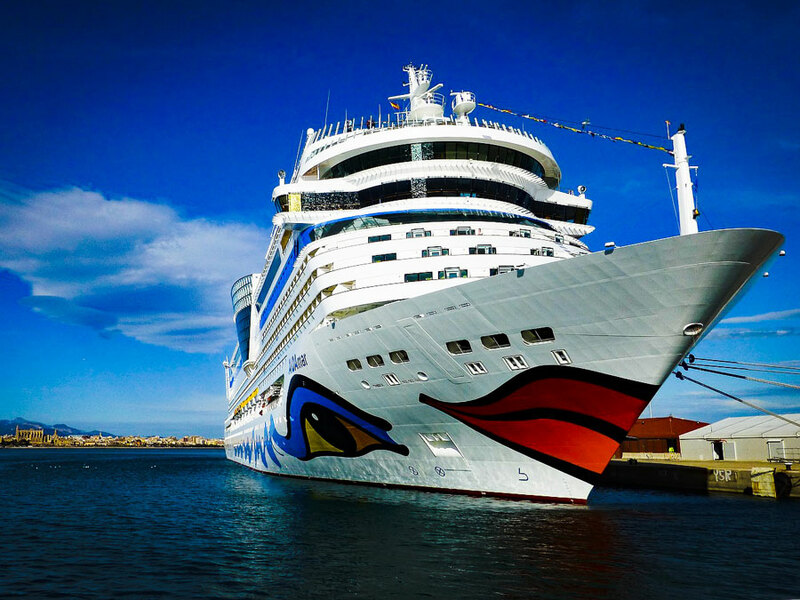 In this post, we’ll tell you all about how you can get to the Caribbean islands with comfort and at a reasonable price! Handy for those cruisers traveling to the region for a cruise vacation. One thing more and more people are thinking about is how to stay connected when cruising internationally.